All our customers are important to us… but some demand more care & love than others – Our 3 year old daughter! My wife & I had spoken at length for as long as Luna has been alive about making a sign for her door but we just never got around to starting the job. 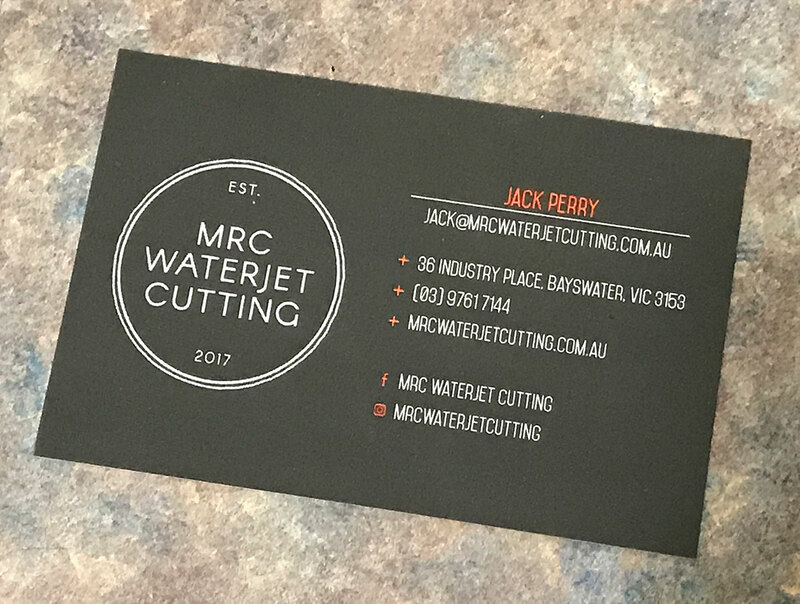 Enough was enough we thought it’d be cool to enlist the help of our good mates @ MRC WaterJet Cutting (website/facebook) what the original concept we’d designed in illustrator. 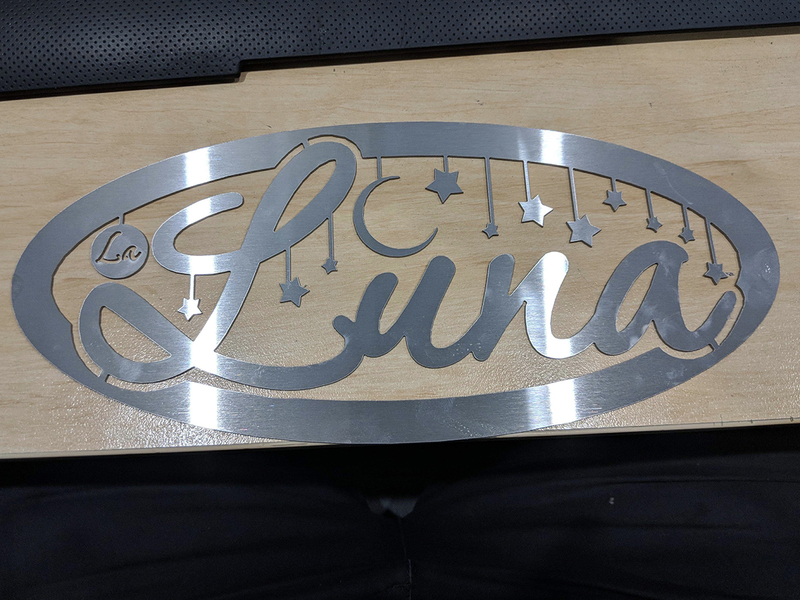 The team @ MRC WaterJet Cutting took us through options for different media/materials & made the suggestion to use thin metal to ensure it lasted the distance on Luna’s door. 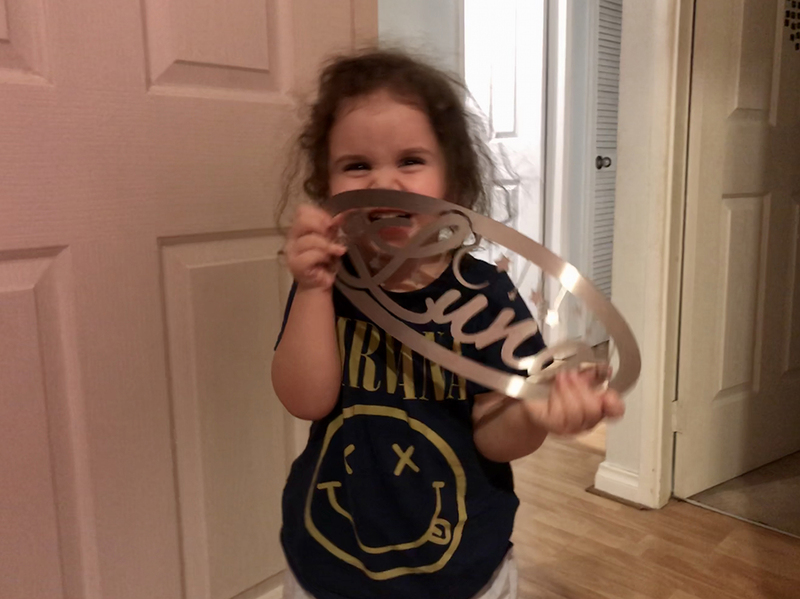 Files were emailed & within the week we had a completed work of art ready to prep & paint for her door – Luna loves it & we’re over the moon. Need custom signage designed? Contact us & we can talk through your needs, help you with a design & get you on your way. Provide us with a sketch or concept and we can turn it into a design for you OR bring us your own file to work from. From timber and aluminium to plastic or carbon fiber, we can cut just about any material up to 100mm thick. Providing you with the perfect material for any job. Choose from 5 different cutting qualities to ensure the correct quality for your job. The higher the quality means a longer cutting time but a smoother finish.